Born 15 April 1992 in Krasnovodsk, Turkmenistan. 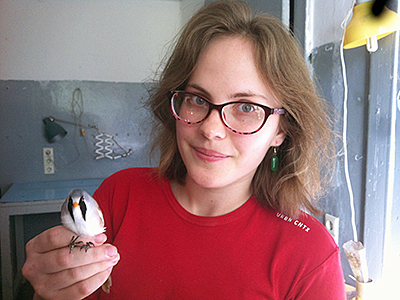 Research interests: behavioral and physiological adaptations in malaria-infected birds; development of malaria in birds in relation to different pathways of parasite transmission. 2009–2014 ― Immanuel Kant Baltic Federal University, Department of Bioecology and Biodiversity. 2014–2016 ― St. Petersburg State University, Department of Invertebrate Zoology, MSc in Parasitology. Fourth International Workshop on Malaria and Related Haemosporidian Parasites of Wildlife, September 26 – October 2, 2015, Shepherdstown, West Virginia, USA. The 6th Conference of the Scandinavian-Baltic Society for Parasitology – April 23–24, 2015, Uppsala, Sweden. International Conference on Malaria and Related Haemosporidian Parasites of Wildlife, Vilnius, Lithuania, 7–11 August 2013.